'There are many, many dead bodies' Jump to media player The death toll in the Philippines from Typhoon Haiyan could rise significantly, the chairman of the Philippines Red Cross has warned. 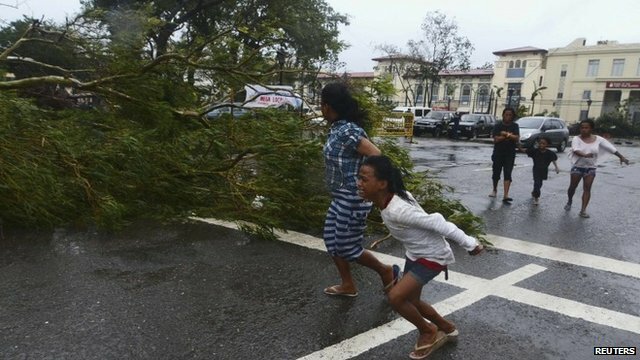 Hundreds feared dead in typhoon Jump to media player Hundreds of people are feared dead in the Philippines after Typhoon Haiyan swept through on Friday. 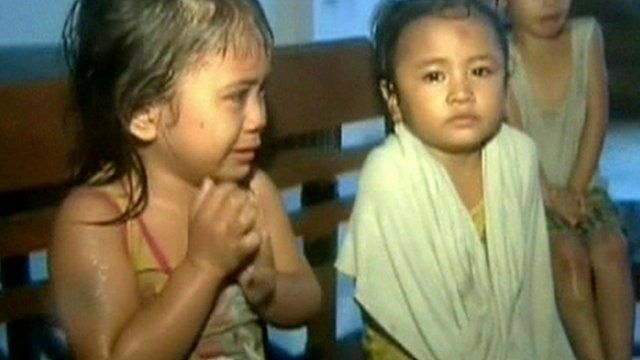 'Most people hid in their closets' Jump to media player Residents in part of the Philippines were left to seek shelter in closets after their roofs were blown away by Typhoon Haiyan, it has been claimed. 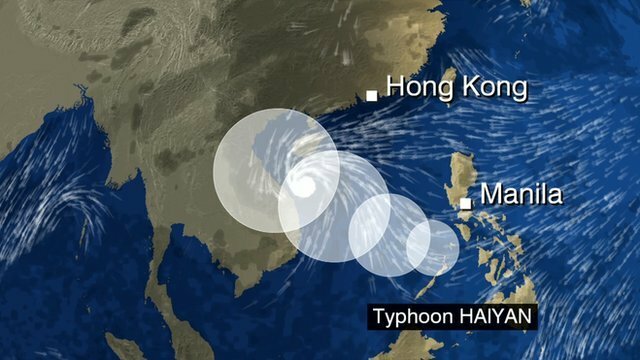 Typhoon Haiyan: Weather report Jump to media player A typhoon, which has killed more than 120 people in the Philippines, is now heading for Vietnam. Chris Fawkes. 'Torrential rain for 12 hours' Jump to media player Red Cross worker has described the plight of hundreds of thousands of Filipinos caught up in Typhoon Haiyan. 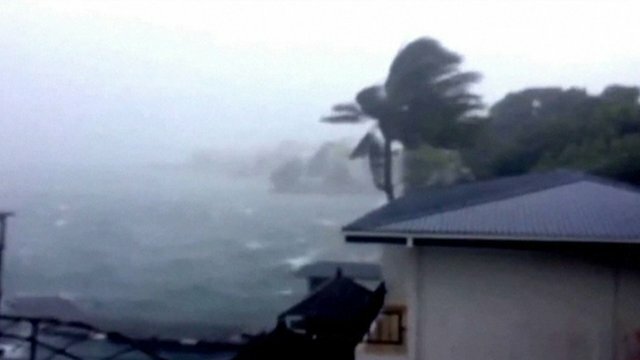 'Iron sheets flying just like kites' Jump to media player Eyewitness Mai Zamora in the Philippines describes the scene as Typhoon Haiyan makes landfall. 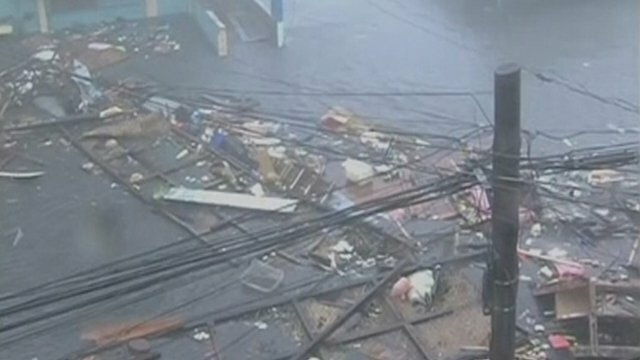 Typhoon leaves towns under water Jump to media player Typhoon Haiyan, the world's strongest storm of the year, has made landfall in the Philippines with winds of up to 235 km/h (146mph). 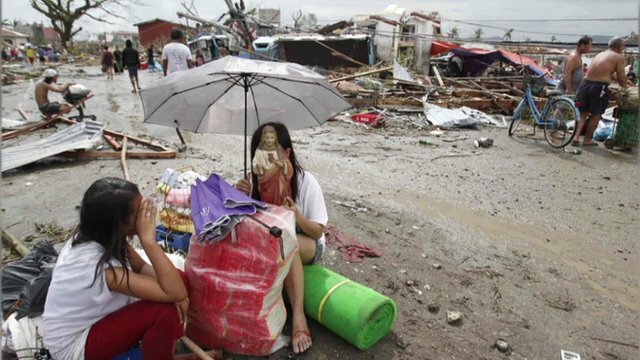 The death toll in the Philippines from Typhoon Haiyan could rise significantly, the chairman of the Philippines Red Cross has warned. Richard Gordon told BBC News that the organisation's efforts were focusing on helping survivors but that it was providing body bags for the "many, many dead bodies". 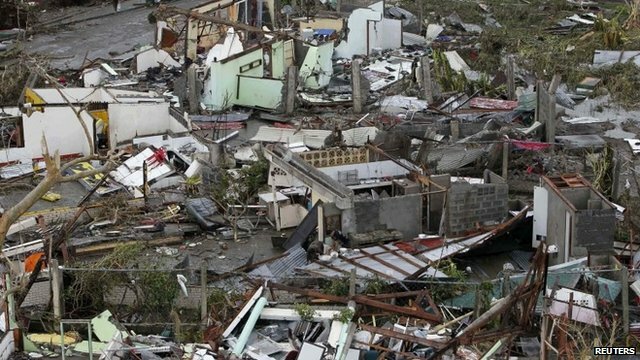 The charity estimated that as many as 1,200 people could have been killed in the storm - 1,000 in the coastal city of Tacloban alone.